Just a quick note to say I will be playing a DJ set in Ghent, Belgium on September 6th. The lineup looks pretty awesome and I can’t wait to hear Tim Schuldt and Green Nuns Of The Revolution. In the 3 weeks leading up the the event I’ll try to write a few posts on the type of music I’ll play. I’m really looking forward to unleash some mental morning goa trance for the infamous Belgian party animals. My scheduled time slot is 6-8am, right after the Green Nuns. Expect morning-themed stuff, with some recognizable blasts from the past, a handful of very unknown tracks all sprinkled with a few unreleased Filteria tracks. This was a MASTER set!!! Some less/un-known tracks were AWESOME, the other ones, just perfect! 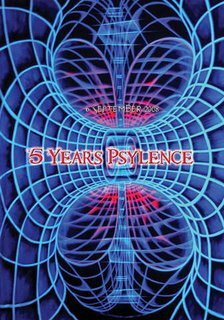 The Belgian forum is unanimous psychedelic.be (Dutch spoken, login required): your set was really outstanding! Thanks for raising the old/new school spirit to the highest level!